PUBG LITE (PC) BETA soon to be available on Steam! 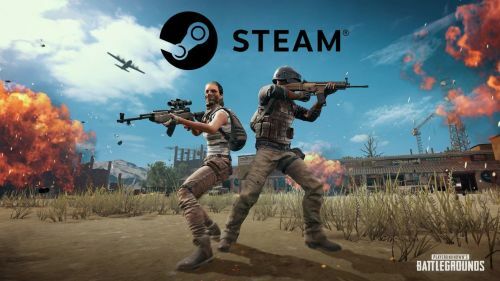 After a month of BETA testing of the light-weight version PlayerUnknown's Battlegrounds, popularly known as PUBG LITE, the game is finally going to be available on Steam very soon. Since its launch in Thailand, the game slowly expanded to Bangladesh, Brunei, Cambodia, Indonesia, Malaysia, Myanmar, Laos, Philippines, Singapore making it to a total of 10 countries. And now the developers are ready to take the game to the next level, making it available on Steam. A month has passed since the launch of PUBG LITE Beta Test on January 24. We would like to take this opportunity to express our sincere appreciation for your great interest and support. Going forward, PUBG LITE will take on new challenges and make new attempts to live by our beliefs. Your feedback will provide important guidance for PUBG LITE in the long journey ahead, and we will always value and listen to your voice. Over the past month since the Beta Test launched, we have received a lot of sincere feedback from players and streamers in the service regions (Bangladesh, Brunei, Cambodia, Indonesia, Malaysia, Myanmar, Laos, Philippines, Singapore and Thailand). We read every single feedback thoroughly and analyzed the issues raised. As a result, we were able to come up with some new content and features for PUBG LITE in the short time we had. Soon, we will be ready to introduce them to you. With the release of PUBG LITE on steam, it is obvious that the game will be seeing the global release. So, all the waits will be over and hopefully, players can get into the game without any hassle. However, the developers have not mentioned any dates but it is expected that the release will most probably happen in late March or early April. But, if you still can not wait until then, you can download the game and play by following the instructions mentioned in this article. PUBG Lite PC is expanding to 3 more Asian countries today; Is India one of them? PUBG Lite: PC Beta Expands to 5 More Regions, Including Bangladesh, Myanmar, Cambodia..